Beard Joy began as the brainchild of our Chief Executive Beard, Kevin Slocum. After deciding to grow a beard in 2012, he was confronted with the problems bearded men have been facing for centuries: dry, itchy face and coarse beard hair. 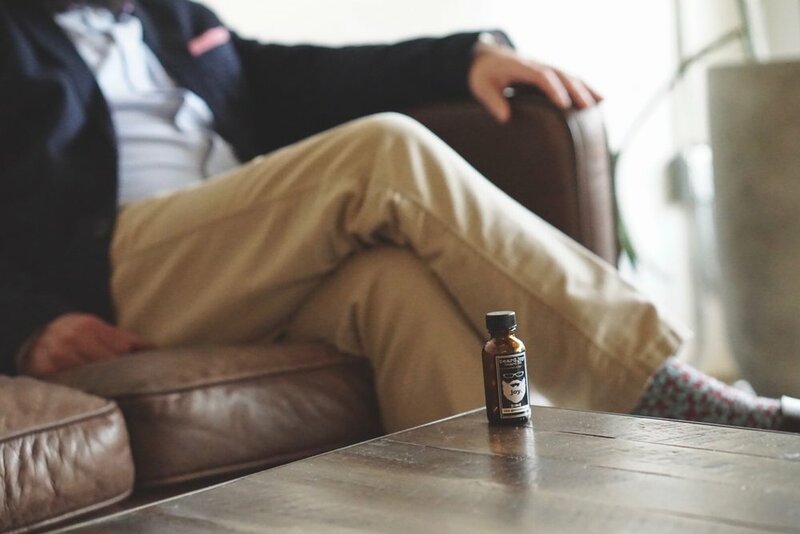 Kevin's solution was to come up with his own beard oil blend that would condition both skin and beard to make his face happy and healthy. After trying it for themselves, a few friends convinced Kevin to bring his beard oil line to market. This began the process that resulted in the creation of Beard Joy. 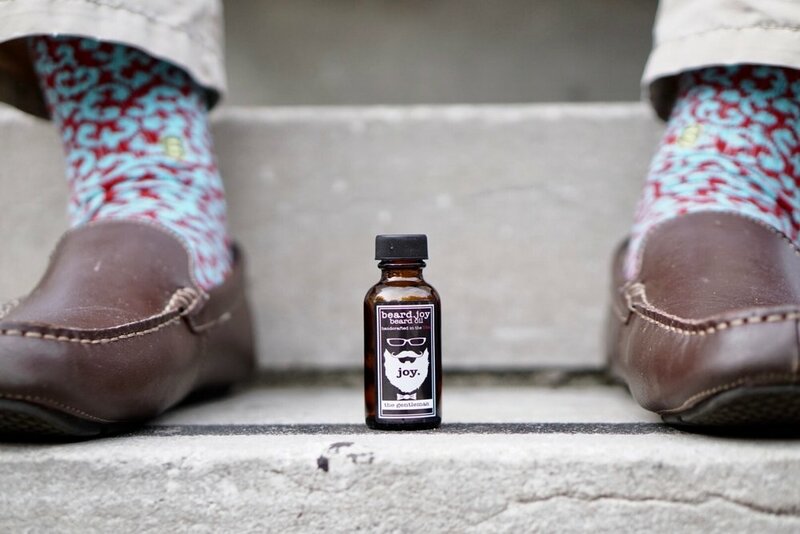 Since then, the Beard Joy line has expanded to include a handful of beard oil blends (The Original, The Woods, The Cafe, The Hunter, The Bay, The Gentleman, The Night, The Hippie and St. Nick's), an unscented mustache wax and various Beard Joy wearable items. 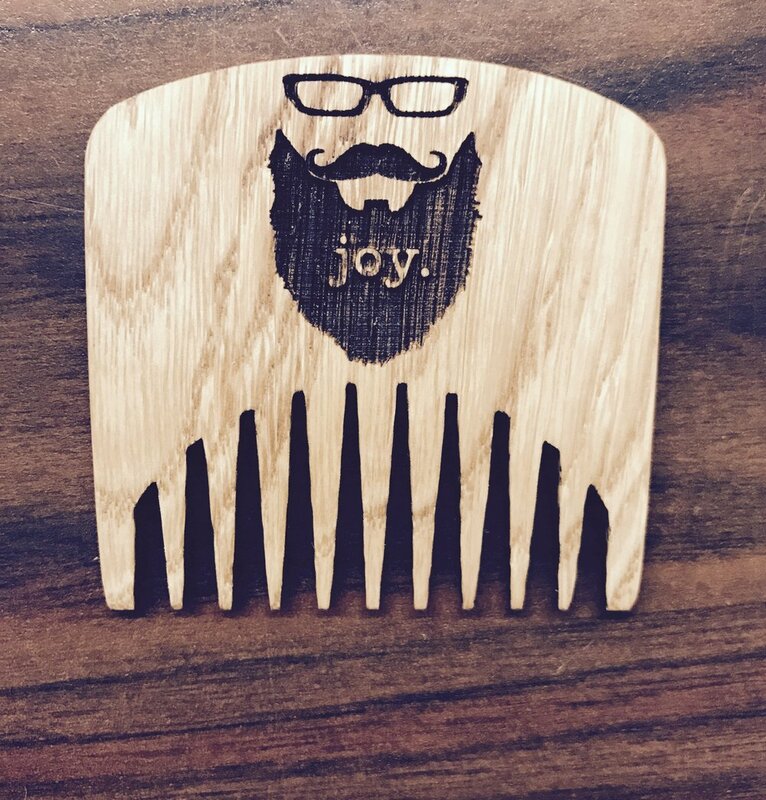 Beard Joy is now available in barbershops, gentleman's shops and boutiques all over East Texas. We are always looking to expand our retail presence so, please, ask for Beard Joy products by name at your local barbershop. 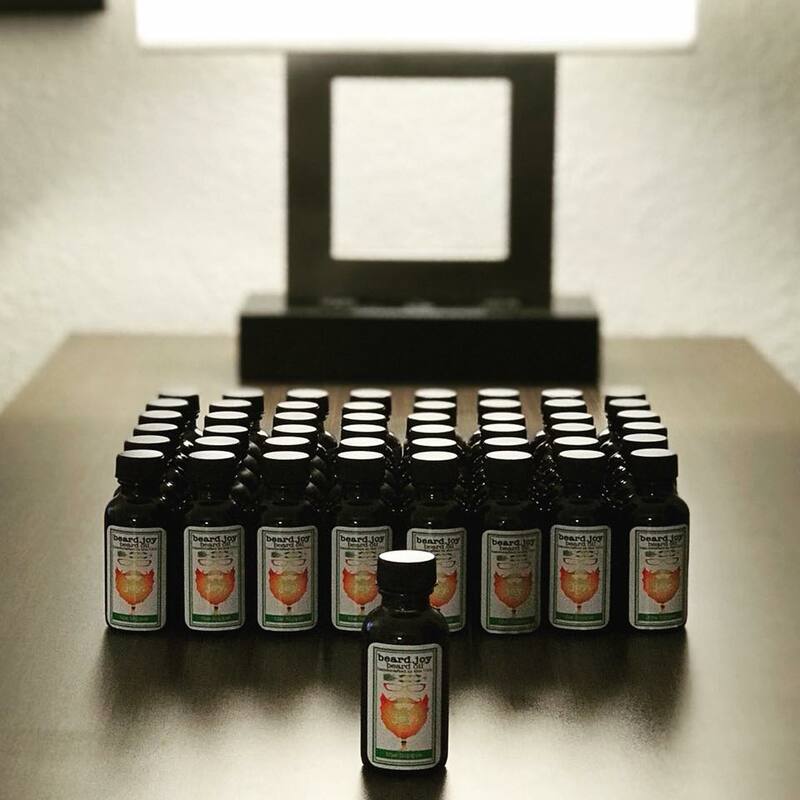 Beard Joy products are also available through this site. "I've known Kevin since we were 5 years old (that was a long time ago) and his beard was epic even back then. I believe that great beards are bestowed to great men and Kevin proves my point. The saddest day of my life was when my dog Roscoe was hit by a car. The second saddest day was when Kevin moved to Texas. However, Texas gained a great man and an amazing beard oil. I haven't always had an beard but since I have the only beard oil I use is Beard Joy Beard Oil and I'm a better man for it. I can't recommend this oil enough. It will change your life!" "Kevin at Beard Joy is a great guy who understands how important a man's beard is. His oils and balms are first class. I use and enjoy quality beard and mustache products from a lot of different companies, but I've never found a mustache wax that comes close to matching Beard Joy's. Its firmness and malleability make it easy to handle, it never lumps or streaks, and even the packaging is convenient for pocket carrying. I'm proud to have been a Beard Joy man for the last 5 years." "When folks look at me, they immediately see two things: Red suit and white beard. If you take either way, I am no longer Santa. This is why I go to great lengths to maintain both. For my beard this is especially true. As little ones enter the 'Santa-Zone' - the beard must always smell great, feel great and be great. I couldn't achieve any of these without Beard Joy products. They should probably name one of them after me… Wait! They already have! St. Nick's Beard Oil!"